This entry was posted in appreciation, Blogroll, candy, celebration, dessert, food, good times, holiday treats, holidays, life, random, sarcasm, Uncategorized and tagged a love story, celebration, chocolate, chocolate is healthy, good news, holiday, sarcasm, Valentine's Day by bluesuit12. Bookmark the permalink. Isn’t it though? If I’d known scientists conducted this kind of research, school would have gone a whole lot differently. Well if it weren’t for geographical limitations, I might be tempted to send a valentine or two your way. Do cyber-valentines by way of blog comments count? I agree with your assessment of white chocolate as well. I’ve never trusted it and now I know I wasn’t just being paranoid all these years. Hershey’s Hugs are yummy & if that report is true, everything I ate this week was FULL of nutrition. P.S. Are Tootsie Rolla really chocolate. Actually I don’t want to know. I prefer to eat my “nutrition” in ignorance. I would definitely say Tootsie Rolls are in the chocolate family. Yummy. hah Remember when Kendall and Brooklynne thought my car automatically dispensed those? Good times. That’s hilarious! 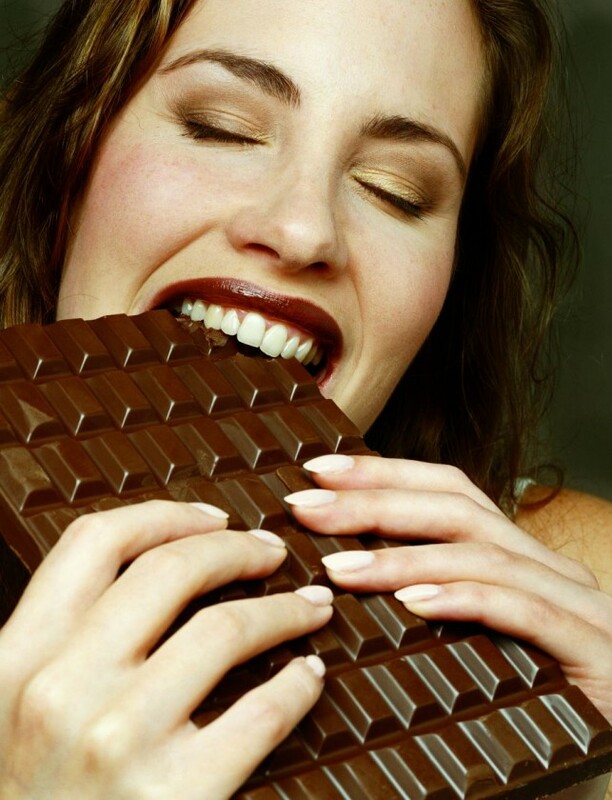 Unfortunately for me, though, I hate dark chocolate (which, as the article confirms, is the “good” chocolate)–I only eat milk chocolate (my favorite being Lindt milk-chocolate truffles), the “bad” chocolate! And I agree, I’ve known about white chocolate for awhile–that it’s not really chocolate. And I do like it, but not nearly as much as real (milk) chocolate. I feel they should call “white chocolate” something else (maybe “confection candy”). Dark chocolate is my favorite! Well, maybe cadburry milk chocolate is. Either way I’m happy. It’s like here in Florida–the name, “The Sunshine State”, is a total scam, obviously concocted by businesspeople ages ago. Florida is a beautiful state, don’t get me wrong–but it rains, and rains, and rains at least half the days in any given year! In fact, according to Barnes & Noble, Florida receives more lightning strikes than any other area of the United States! So greetings from the Thunderstorm State! I’ve never been to Florida so I’ll take your word on the weather conditions. Though that’s a little sad b/c I always thought it was a sunny state and wanted to visit there someday. But rain gets on my nerves so I may have to reconsider. Blast you scamming business people!